It’s time for six-guns, saddles, and a little late season fishin’ this week in THE DARK VAULT OF PUBLIC DOMAIN! 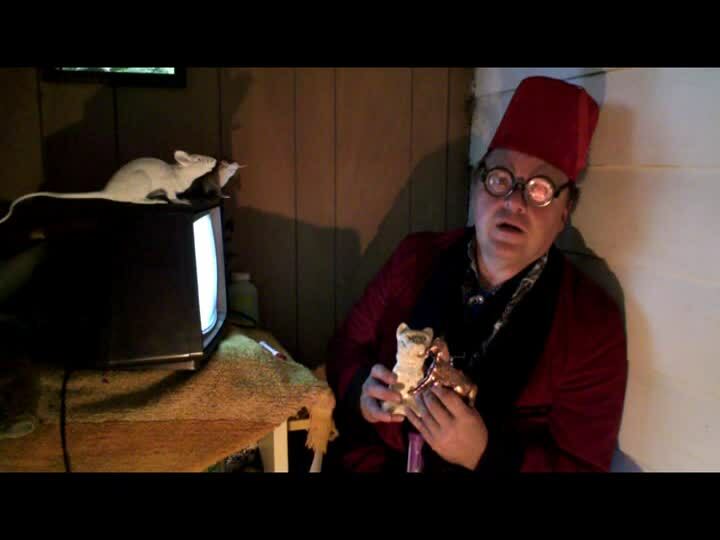 Join UNCLE PETE and his trusty steed Ol’ Potmetal as they bring you The Classic Television Spectacular – Part III. First up is Bat Masterson, starring Gene Barry and guest starring William (Frank Cannon) Conrad and James (Roscoe P. Coltrane) Best. Bat moseys into a tent city just about to hold a necktie party. A pretty girl (required in every Bat Masterson episode) tells Bat that the party’s guest of honor is innocent and needs help. Bat takes up the task and gunplay and brawlin’ ensue – but is the gent in question really innocent? Find out as we see Bat Masterson in Stampede In Tent City. Next up is hard ridin’, straight shootin’, and suspense (that’s what the intro tells us) with the First Gal of The Old West – Annie Oakley (Gail Davis). Gail, a frequent co-star of Gene Autry , appeared each week (for 81 episodes) along with her horse Target, lawman Lofty Cragg (Brad Johnson), and little brother Tag (Jimmy Hawkins) from 1954 through 1957. Here in Shadow At Sonoma (1956), there’s trouble at the county fair as Annie spots a dead ringer for Lofty who ain’t no straight shooter. Up next we add a little color (literally) with an episode of The Cisco Kid. After a long and successful run as a radio drama, the “Robin Hood Of The Old West” came to TV from 1950 to 1956, with Duncan Renaldo as Cisco and Leo Carillo as his sidekick Pancho. Each week they and their horses Diablo and Loco righted wrongs, helped the unfortunate and rescued the put-upon. This episode finds our heroes challenged by bushwhackers, murderers, and some spooky stuff in Ghost Story. 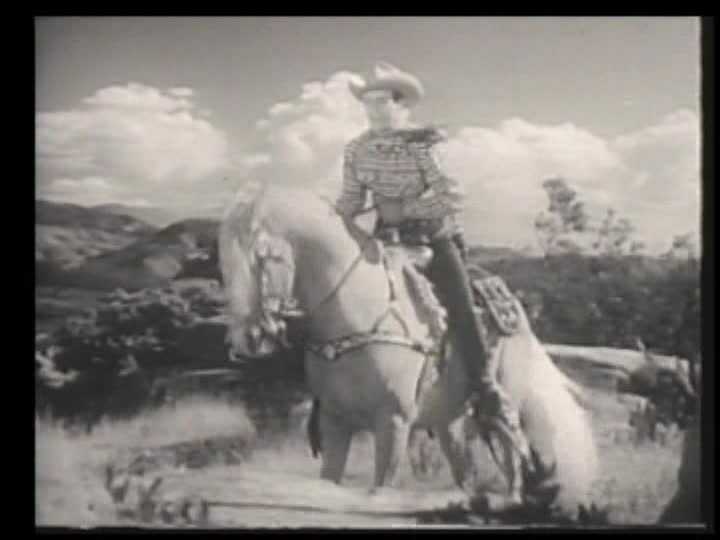 Last but not least it’s the King Of The Cowboys – Roy Rogers (played by Roy Rogers). Roy, horse Trigger, dog Bullet, sweetie Dale Evans – Queen Of The West, Dale’s horse Buttermilk and comic sidekick Pat Brady with his jeep Nellie Belle rode the range finding bad guys and helping out folks that needed help. The show aired from 1951 to 1957 and in this 1952 episode, Roy and his gang help little Lucy who has just lost her Mommy and whose Daddy has a price on his head for some hanky panky at the banky, er bank. Roy must prove that Lucy’s Daddy isn’t an outlaw before the law or the bad guys settle his hash first. It’s Unwilling Outlaw on The Roy Rogers Show. ~ by UNCLE PETE on November 12, 2016.